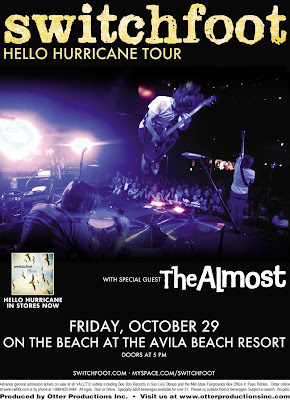 ^poster from the last show of the "Hello Hurricane" tour in Avila Beach. Almost a year ago, Switchfoot unleashed a storm on all of us. "Hello Hurricane" was an altogether new musical experience for those who have followed the band over the years, and was a worthy introduction for newer listeners. Some of the most aggressive riffs and emotive vocals the band has ever committed to tape show up on this record. But the record truly came alive when Switchfoot took it directly to their fans during the accompanying tour. 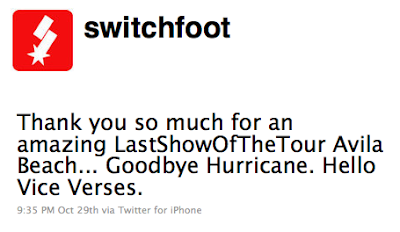 And 80+ shows, 9 tour legs, and 5 continents later, the "Hello Hurricane" tour has come to an emotional close. For those who saw the band during one of these shows, these were some of the band's greatest, most electric performances they have ever played. The ending of this tour is bittersweet, I'm sure especially for those who were a part of it in some way. And now, what happens next? The great news is, the record cycle is not finished yet! "Your Love Is a Song" is still climbing the Hot AC pop charts, while "Bullet Soul" is set for release to alternative rock in November! 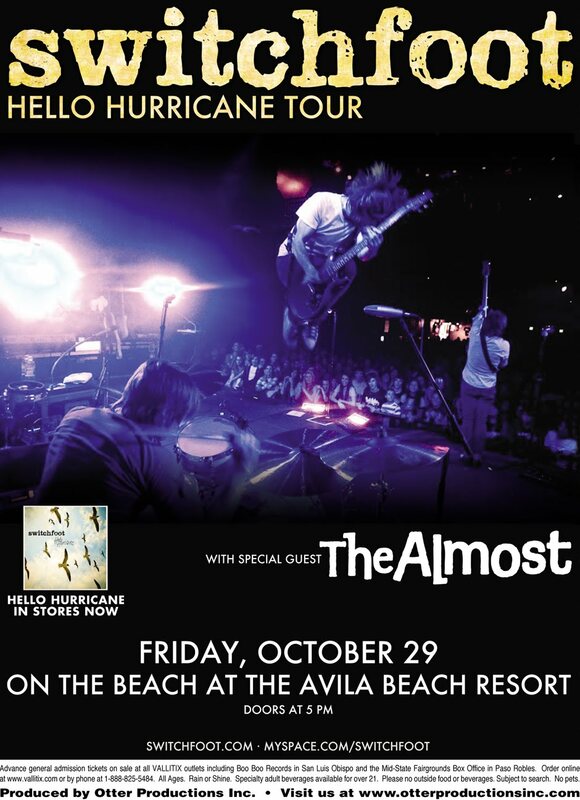 So, as the Switchfoot boys finally unwind from a long, arduous tour, it's time for us to push the songs at radio propel "Hello Hurricane" towards the finish line. The band has done their part; it's our turn. These next few months could be an exciting time for the band, as "Your Love Is a Song" could possibly make a strong push while "Bullet Soul" keeps the alternative stations keen on Switchfoot tunes. And all of this is setting up for "Vice Verses," which is tentatively set for summer 2011. And for those who can't wait for new Jon Foreman tunes, the second Fiction Family record is on the way, coming in Spring 2011. So thought we bid a fond, wistful farewell to the "Hello Hurricane" tour, there is still much excitement for the future! Also, for those wondering, we've gotten confirmation from management saying that the "Your Love Is a Song" video is definitely not happening, unfortunately. But if things change, you'll all be the first to know! By the way, guys, don't forget to request Your Love Is A Song every day. It's on the rise, and I *think* we could get this to be as big a song as Stars. Maybe even bigger.